Sweet wine made from Vidal Blanc grapes left on the vine until after freezing. 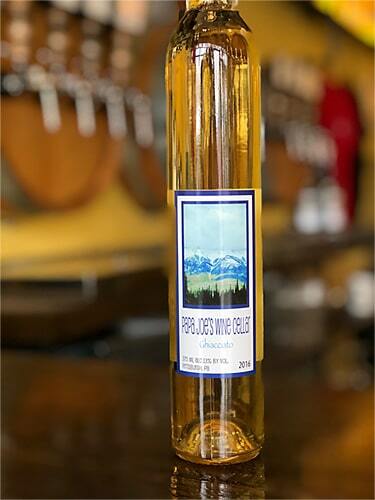 High acid and sugar content from concentration of the must by pressing while frozen makes this an ideal dessert wine. Made from juice from Presque Isle Wine Cellars in Erie. Alcohol content is 13%.